Ganpatipule has a fine blend of religion and recreational activities. 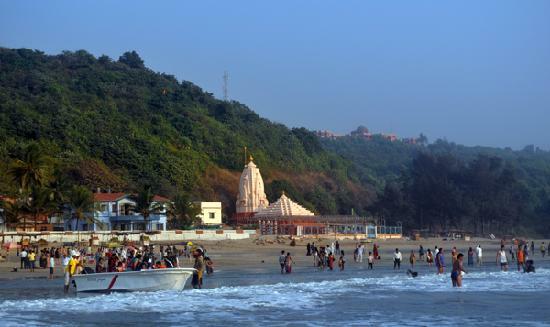 This is the land of the 400-year old Swayambhaoo (a naturally formed idol) Ganpati and a glittering white sand beach. 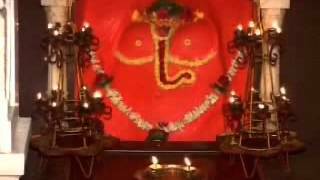 Ganapatipule is ideal for family outing. The temple is 400 years old and is at the foot of a hillock. Most pilgrims believe in taking a 'Pradakshina' around the hill instead of just the temple. (Pradakshina is a form of showing obeisance wherein devotees walk in a circle around the idol of the deity or around the temple in which the idol is housed). Lord Ganpati of Ganpatipule is also called as the ‘Paschim-Dwar Devata' (Western Sentinel God). Two grand festivals are celebrated every year - one is Bhadrapad Shuddha Chaturthi (Ganesh-Chaturthi) and another is Magh Shuddha Chaturthi (Vinayaki Chaturthi). 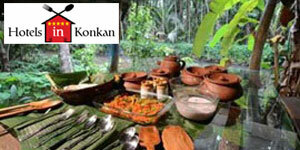 Ganpatipule is a small village, serene, sedate and unspoiled. The beach here is still as natural and pristine as ever and traveling by roads is an experience by itself. There is something new to discover, in whichever direction you go: narrow roads, red soil, roofed houses, clean courtyards, innumerable fruit-bearing trees (including mango, betel nut, banana, jackfruit, etc.) and casuarinas lining the coast are a common sight. The entire western coast is covered with these trees. The locals are as warm and cheerful as their surroundings - ever ready to chat with the visitors and make them feel at home. 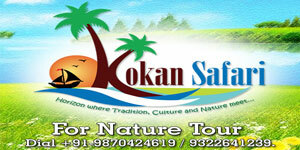 This is very renowned tourist destination in Ratnagiri district. Distance from Ratnagiri is 15-20 kms. There is pleasant seashore with scenic plantation of cypress trees. It is not advisable to venture in the deep sea alone as the level suddenly deeps to dangerous depth. Many a drowning accidents happen due to over-enthusiasm of the tourists. 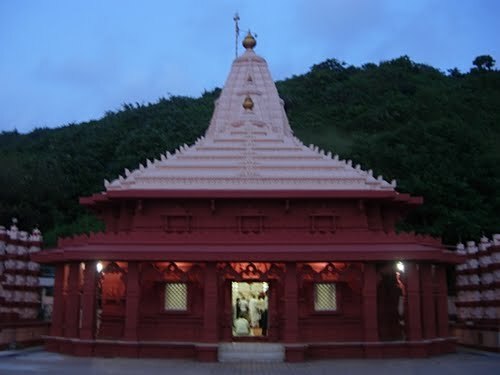 One can have a panoramic view of beautiful seashore up to Kotwade at one side, seashore of Malgund Varawade and Tivari port at other side of Ganpatipule from the hill behind the temple. Nearby villages are worth visiting. Ganeshgule, Kotwade, Malgund, Jaigad, Tivari Port, Kolisare etc. can be visited from Ganapatipule. There is a road from Nivali on Mumbai–Goa highway. 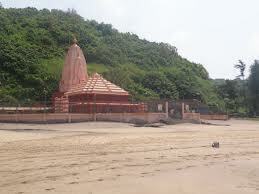 To go to Ganapatipule via Nevre–Kotvade from Ratnagiri city is also easily possible. Ganpatipule is also connected to Jaigad Road from Malgund, Varavde side. Nearest airport is Belgaum, 299 kms. Kolhapur - Ganpatipule, 144 kms. 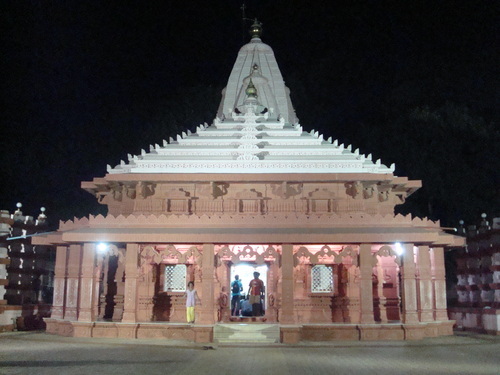 Mumbai – Ganapatipule, 375 kms. Via Mahad. State Transport buses ply from Mumbai and Ratnagiri to Ganapatipule. 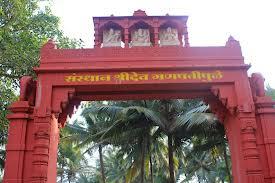 Malgund : Just a kilometer away from Ganpatipule, Malgund village is famous Marathi poet Keshavsoot’s birthplace. Marleshwar Temple and Waterfall : It is 60 kms. From Ganpatipule, famous for its Shiva temple and watrerfall. 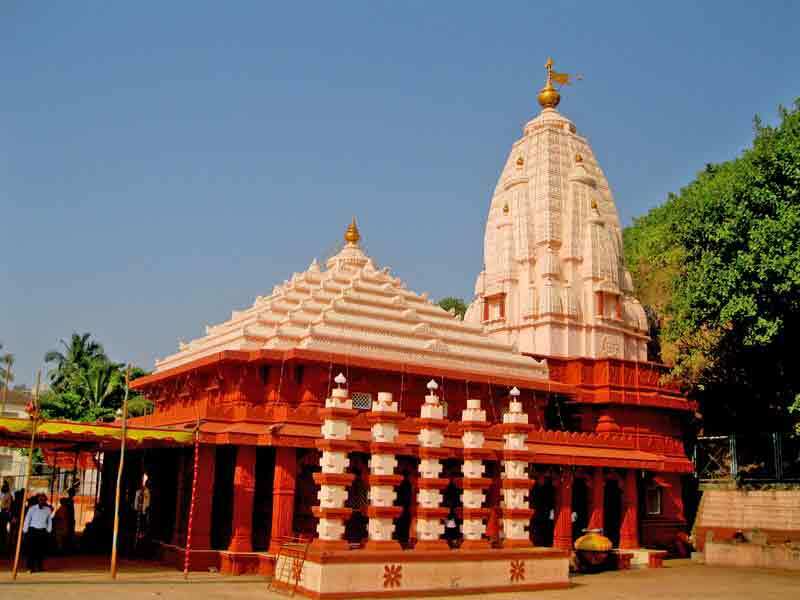 Parshuram Temple :It is 112 kms. away from Ganpatipule, known for Parshuram Temple.